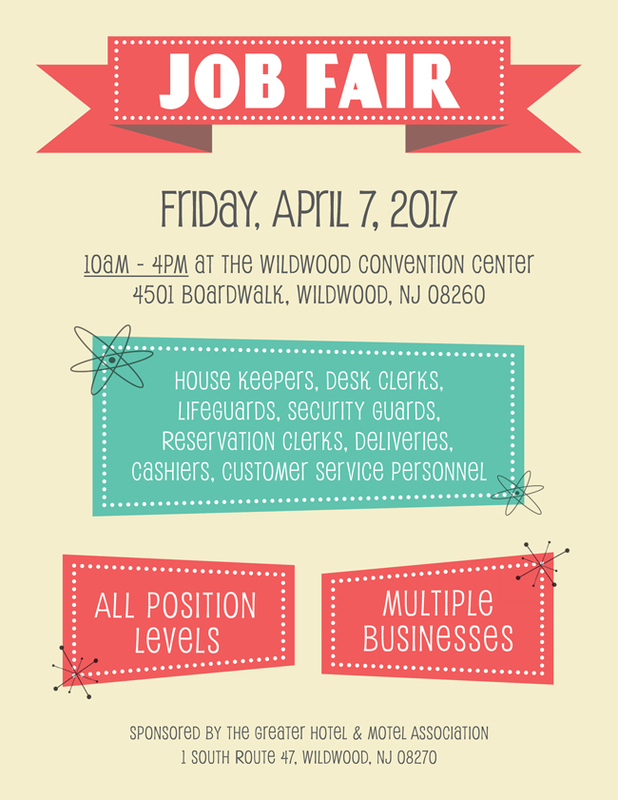 I was asked to design a flyer/email ad for an upcoming job fair hosted by the Greater Wildwood Hotel and Motel Association. Wildwood is a beach town that prides itself in its 50’s-themed buildings, restaurants, and signage. I wanted to be consistent with the 50’s feel by including vintage-inspired elements in the flyer.